The jezail and the jingal are two very different weapons from very different places. Despite this, they both have a place in Western literature thanks to writers like Rudyard Kipling. Both these weapons appear in his works. Knowing the weapons he referenced in his writings is just part of understanding the weapons and how they relate to Kipling’s works. 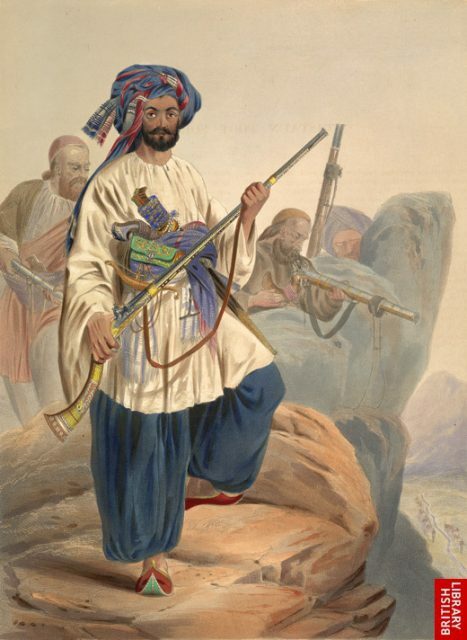 The jezail was a hand-crafted type of long musket or rifle used prominently in India, the Middle East, and Central Asia. Usually a musket, the jezail was similar to the Kentucky rifle, meant to provide superior accuracy and range in rugged terrain. Often featuring a curved stock, the jezail was often fired from higher ground along a hillside and propped with a pole. Such a method of fire proved devastating during the First Afghan War. Firing from the hills along mountain trails, the Afghan tribals could safely and accurately pick off British troops, who were often armed with shorter barreled weapons and thus lacked range to return fire on their attackers. 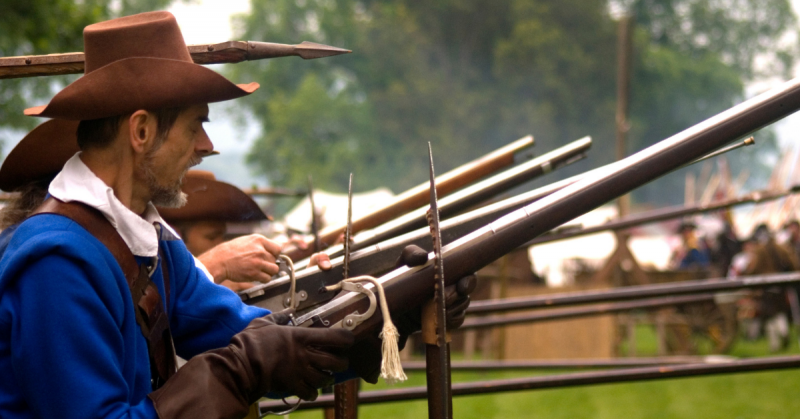 The firing mechanism was usually a flintlock or matchlock, often scavenged from a British Brown Bess musket. 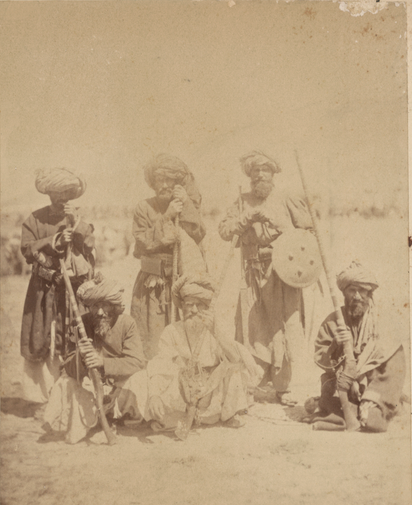 Lithograph dated during the First Anglo-Afghan War of a Kohistani and his jezail. Simple in design yet beautiful in construction and function, jezails earned their place in British literature of the nineteenth century from several writers, not just Kipling. Though a stark contrast to Western mass-produced firearms, their effectiveness could not be denied. 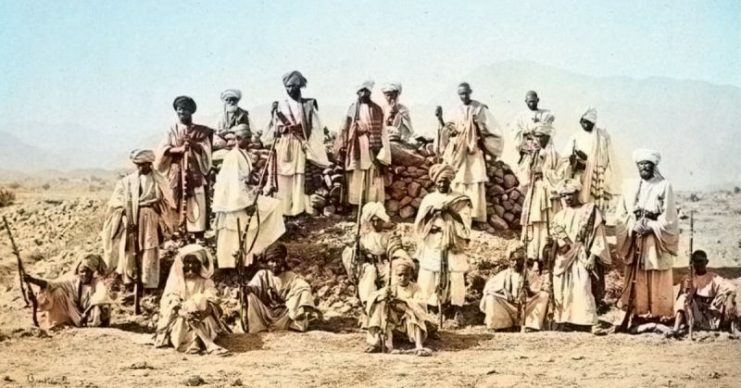 Group of Afridi fighters in 1878, pictured with their jezails, during the Second Afghan War. 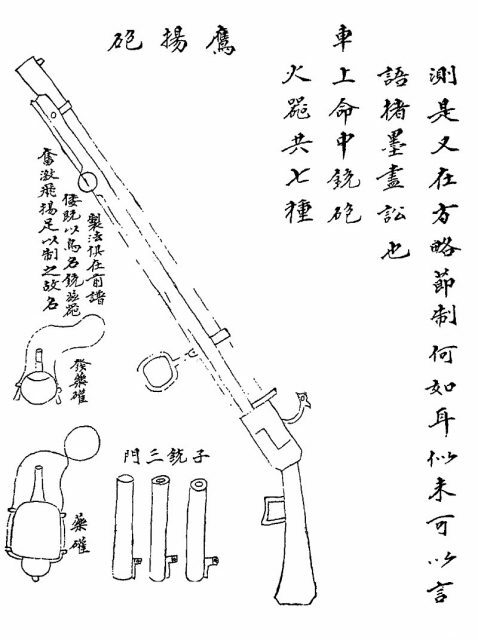 Jingals were a type of wall gun used in various parts of Asia. Although the word itself is based on a Hindi word, jingals are more often associated with China. Designed as a form of siege or bulwark defense, jingals, like any wall gun, relied on their accuracy, range, and caliber to do their work. Whether a small cannon or a large musket, the role of the jingal was to defend a wall or other similar emplacement, such as a barricade or bulwark. Usually placed on a swivel or at least a brace, jingals proved highly accurate and effective, especially when fielded in numbers. Usually muzzle-loading with a barrel of sixty inches or longer, jingal muskets could weigh over forty pounds. Though far from mobile, as a wall gun they served very well during their time of use from the 1700’s to the middle of the twentieth century. 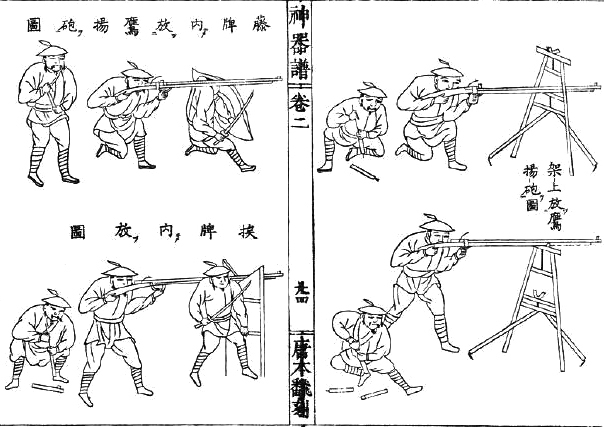 By the nineteenth century it was more common to find bolt action versions of the weapon. With a caliber in the .60’s or higher, these wall guns proved devastating against any who opposed them, British or otherwise. 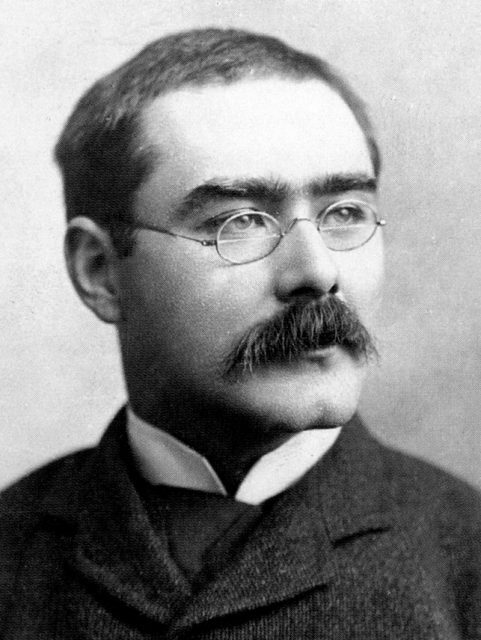 In his time Kipling wrote a great deal about imperialism, his tongue-in-cheek writings often criticizing British policies and actions in their overseas efforts. The jezail previously mentioned took down a British officer, trained to lead his men to glory and victory for Queen and Country. The jingals downed soldiers as part of a recursive cycle of vengeance, in a thinly veiled reference to imperialist notions of honor. A large jingal from the Shenqipu. Both weapons were devastating in their time, being well known by their users and their victims. Jezails in particular proved a bane for British troops in India. Though British arms proved superior, the impressive accuracy and firepower of Chinese and Indian jingals provided pivotal fire support for defensive works. For these reasons the weapons entered the English lexicon, and it was for these reasons that Kipling’s works made note of them.